mewithoutYou, Cursive, and The Appleseed Cast have announced a new tour. After the release and touring of 2015’s revelationary Pale Horses, mewithoutYou needed to find some space before the apocalypse turned inwards. Vocalist Aaron Weiss relocated to Idaho with his family, a makeshift home studio rig and MIDI keyboard while the rest of his bandmates (including his brother Mike) remained in Philadelphia workshopping new ideas with producer Will Yip. There’s that one saying, you know, that distance makes the heart grow fonder? Well for the genre-defying quintet, distance also made the creativity flow more freely than every before, while some inner-band tensions and relationship strife served as the impetus to untapped creativity and fueled the [Untitled] recording sessions with Yip, yielding 19 new songs (spanning one EP and one LP, both sharing the same name) that showcase the duality within mewithoutYou’s dazzling soundscape. mewithoutYou have released their new album for download via Bandcamp. Don’t sleep on this one, it’s very good. mewithoutYou have released their new EP, [untitled], to all streaming services. They’ve also announced that their new album [Untitled] will be released on October 5th. Pre-orders are now up. The band also announced some new tour dates. mewithoutYou have released their new song “Julia (Or, ‘Holy To The LORD’ On The Bells of Horses).” It looks like pre-orders for then new album will be up on Friday. mewithoutYou are celebrating the 16-year anniversary of [A–>B] Life by releasing the live performance of last year’s Philadelphia show. More details will be coming soon, but the performance of “I Never Said That I Was Brave” can be seen below. mewithoutYou have announced new tour dates to celebrate the 15 year anniversary of [A–>B] Life. There is also some limited edition merchandise and vinyl up for order. 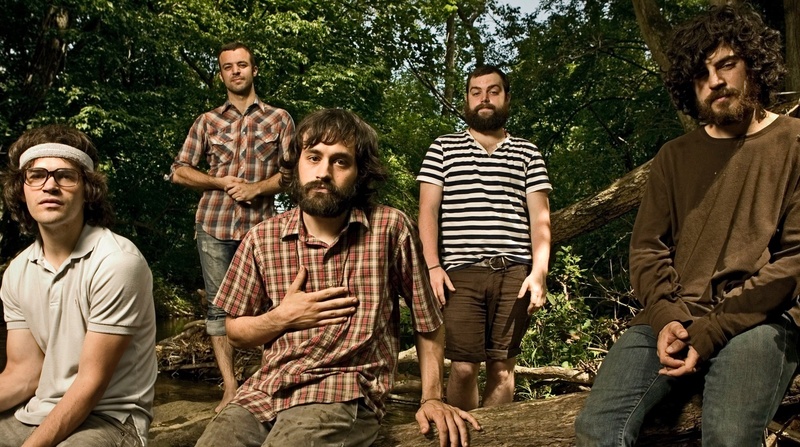 mewithoutYou Playing Secret ‘Brother, Sister’ Show? It looks like mewithoutYou are playing a secret hometown show for the 10th anniversary of Brother, Sister. Circa Survive have announced a 10-year anniversary tour for On Letting Go. Pre-orders for VIP tickets are up right now. mewithoutYou and Turnover will be opening. mewithoutYou have released Pale Horses: Appendix on Bandcamp and expanded their current tour. mewithoutYou have started a GoFundMe campaign and are selling some t-shirts to help buy a new bus after their old one broke down. Say Anything and mewithoutYou are releasing a limited 7″ while on tour together. Say Anything covered mewithoutYou’s “Torches Together,” but retitled it “Torches Apart.” And mewithoutYou covered Say Anything’s “Cemetery,” added in a little “Baby Girl, I’m A Blur,” and called it “Cleo’s Ferry Cemetery.” You can stream the 7″ below. Say Anything and mewithoutYou have a special 7″ they will be selling at their upcoming shows. Letting you guys know – if you’re able to get out to a show, we will have “The Say Anything / mewithoutYou Tour Split” at our merch table. It’s a limited edition 7″ featuring each band’s unique and personalized take each other’s songs (basically a re-worked cover of our fav’ mewithoutyou song and vice-versa). Vocalist Aaron Weiss explains the unique concept behind Ten Stories, the influence of faith on his lyrics, letting go of the desire to control, and mewithoutYou’s past/future.